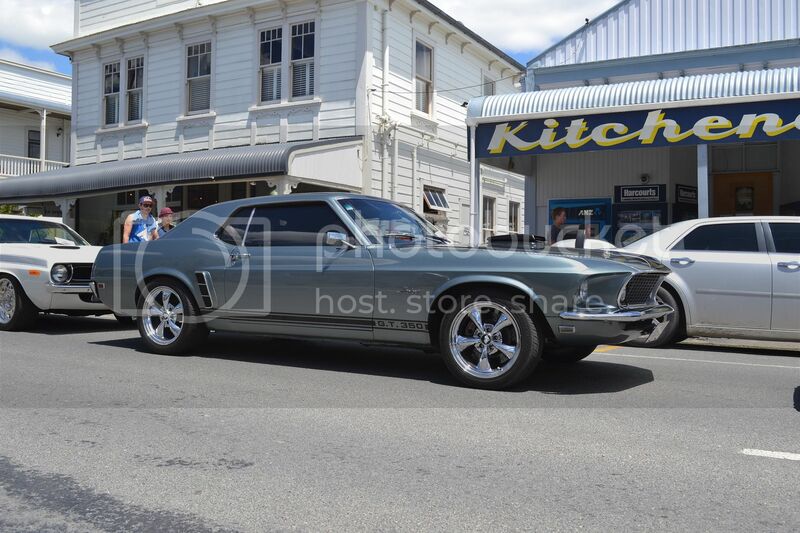 This weekend was the first Cruise Martinborough event. 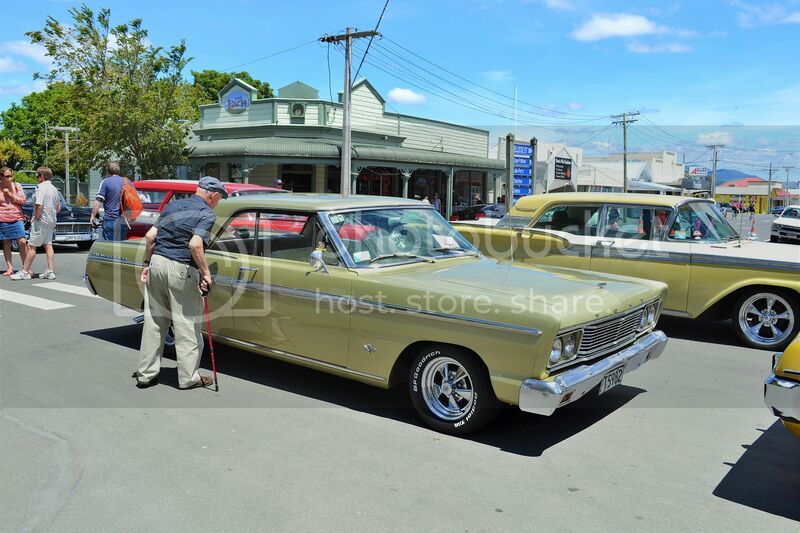 It is open to hot rods and classic American cars, but late model American cars and other classics were welcome. I hope it will become a regular event. 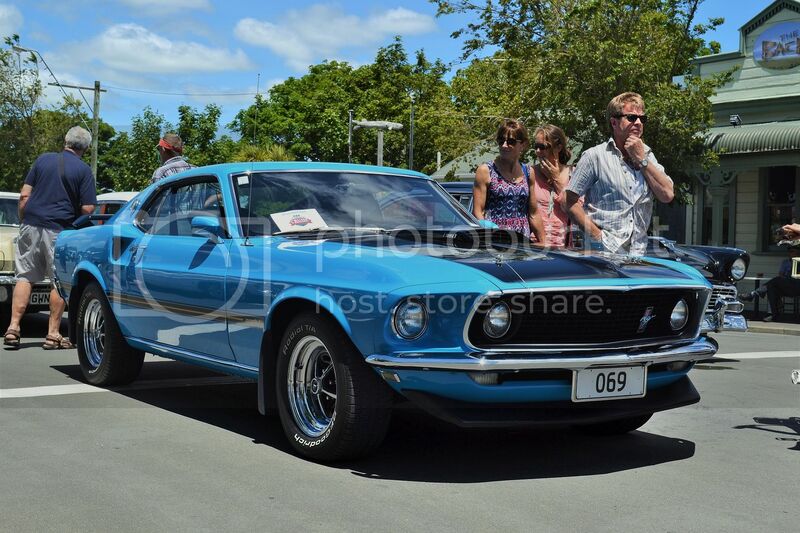 Here are some from the Ford stable at the "Show and Shine". 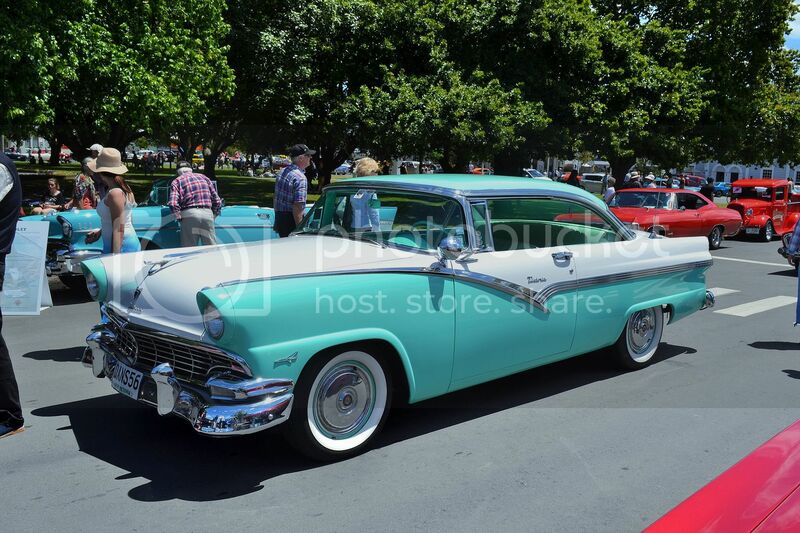 '56 Ford Victoria looks to be stock standard. '62 Falcon has obviously had a lot of money spent on it, but I'm not sure I like the low profiles on a car of this era. 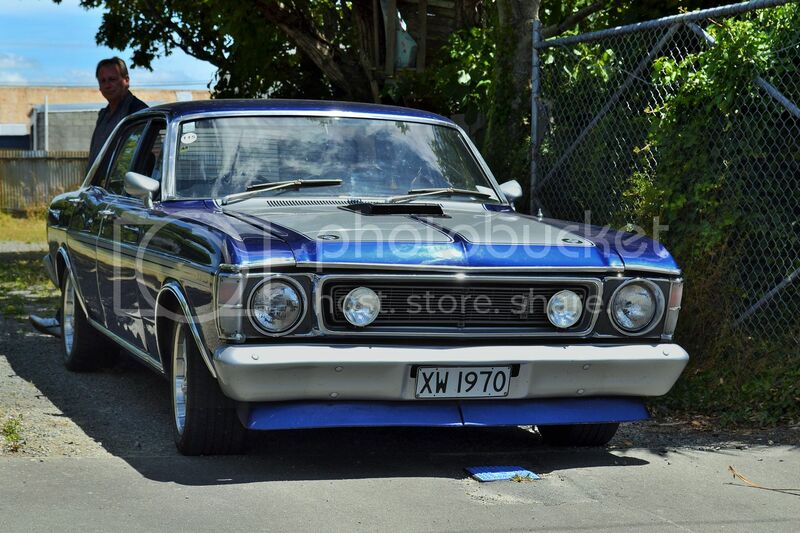 The boxy shape of the XW always looks like they mean business. 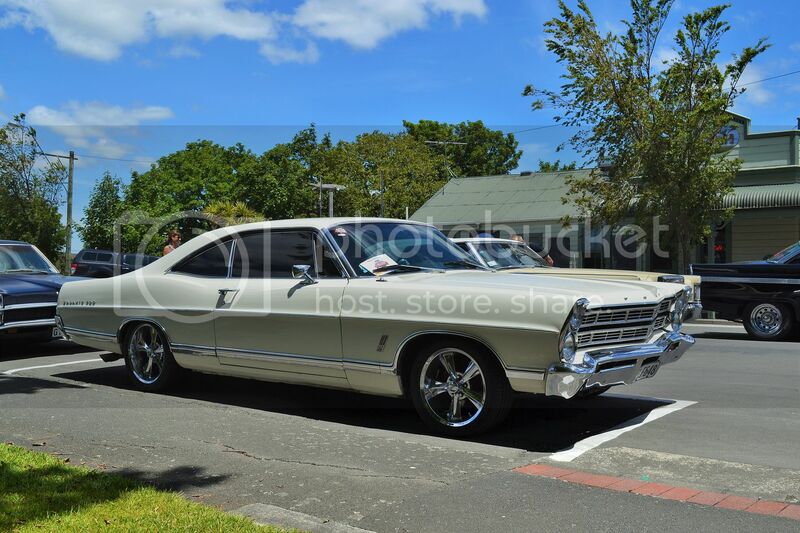 '67 Galaxie 500 looks good in off-white, but again I'm not so keen on the wheels. 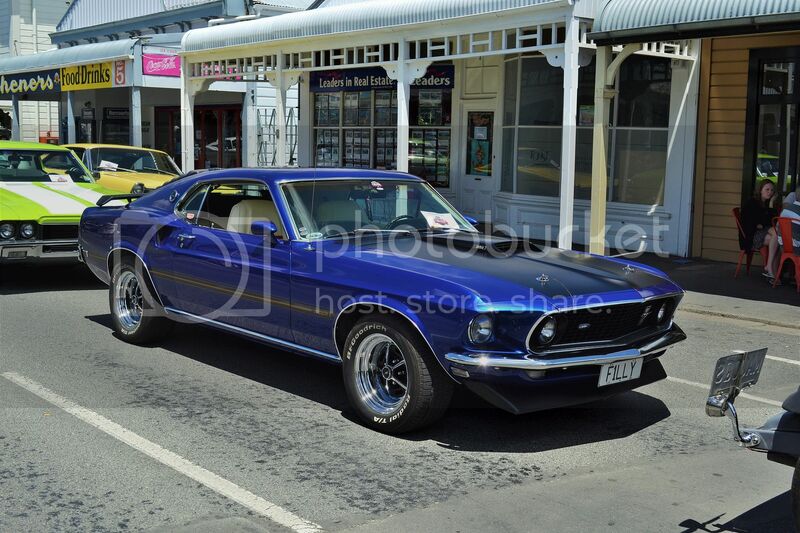 Another '69 Mustang, with the correct wheels and tyres of the period. I wonder if this old guy is saying Ï had one of these"". 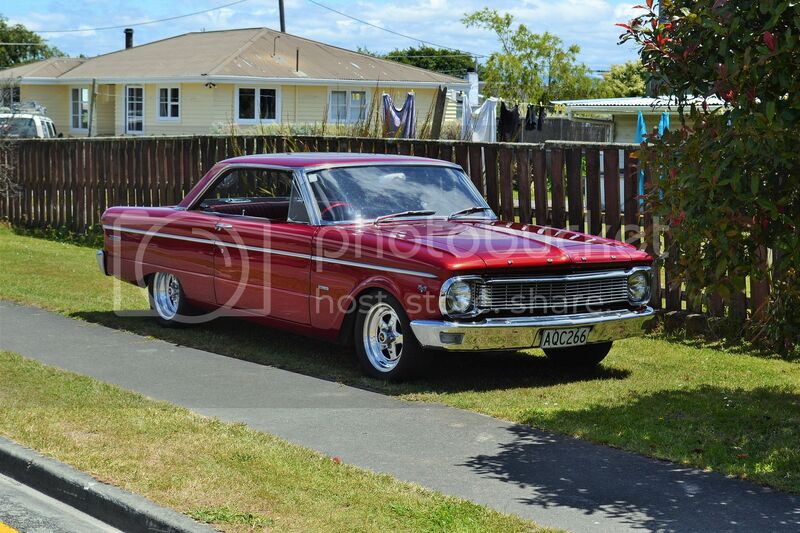 There used to be quite a few '65 Fairlanes on the road, but two door models weren't common in NZ. Another example in off-white. 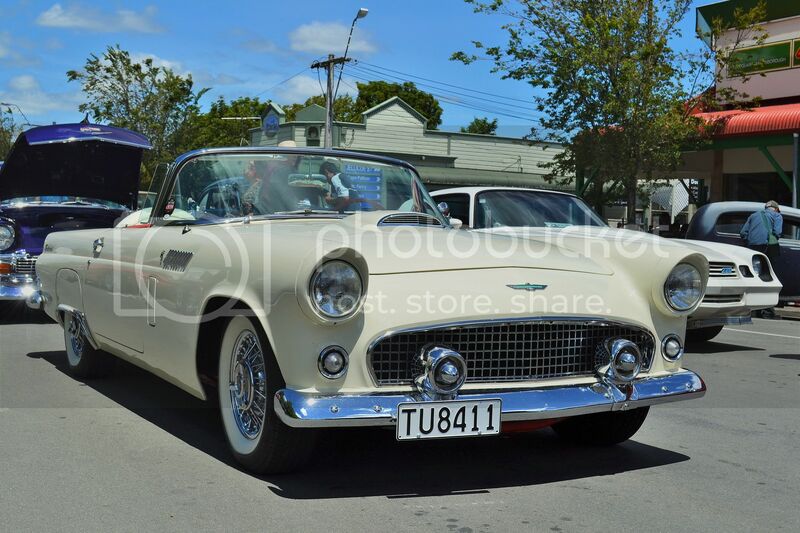 A '56 Thunderbird. 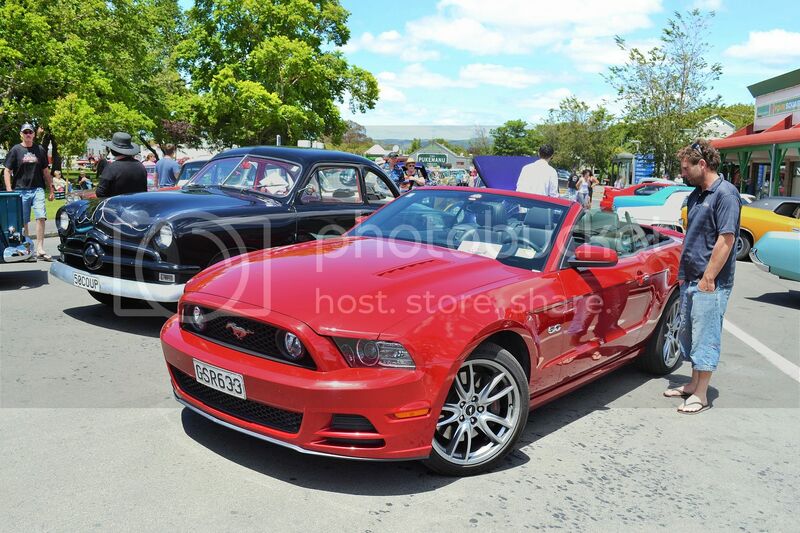 A 1950 Ford sedan and a Ford Mustang commemorating 50 years of Mustangs. 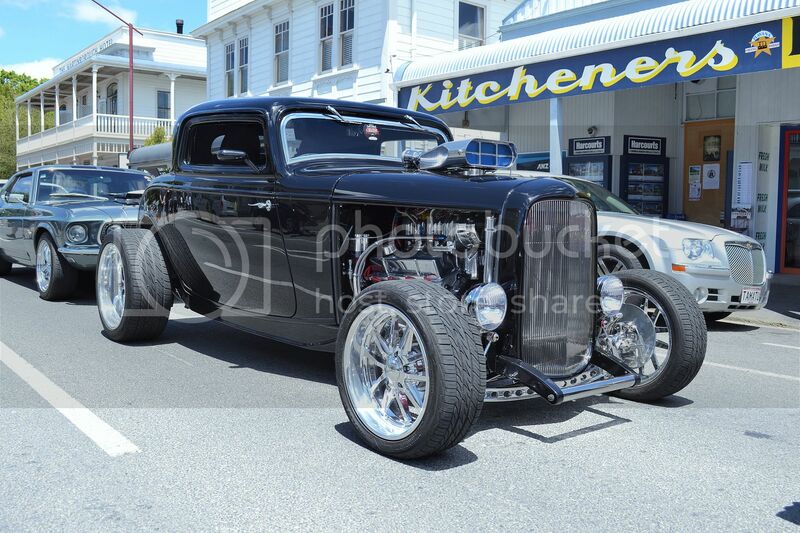 Ford Coupe was well made, but not my cup of tea. 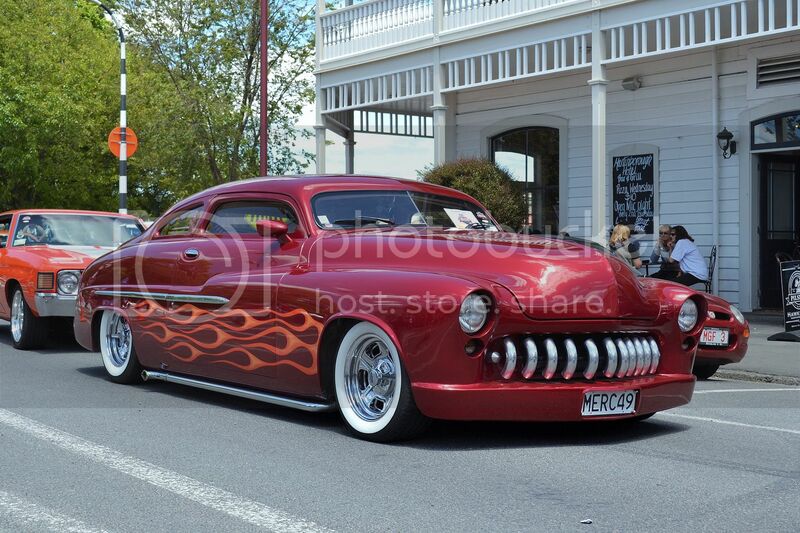 This isn't what I would like to own, but I actually do like the end result achieved on this highly modified '49 Mercury. 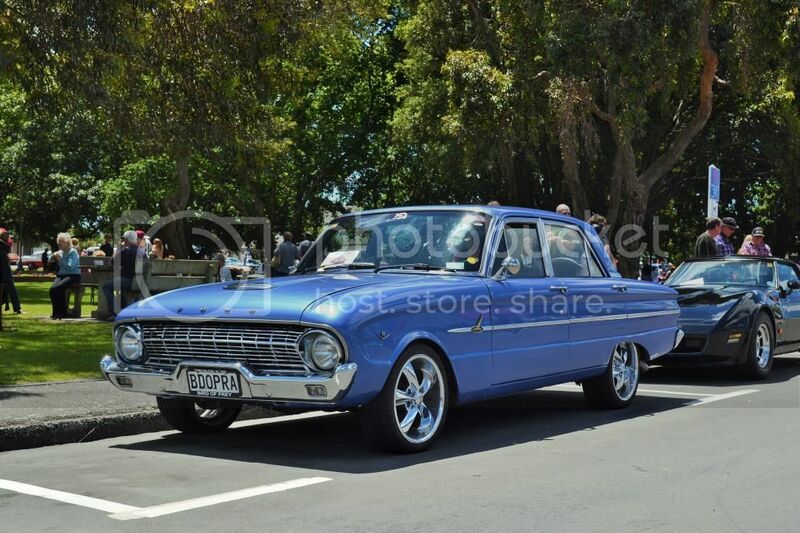 1965 Falcon coupe looked good with standard body, but superb paint job and wheels and tyres that suit the era.